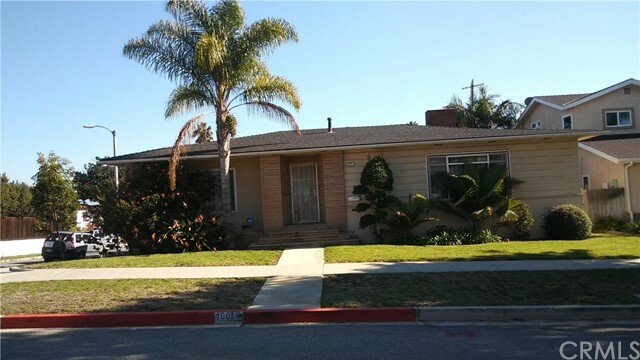 All View Park homes currently listed for sale in View Park as of 04/21/2019 are shown below. You can change the search criteria at any time by pressing the 'Change Search' button below. 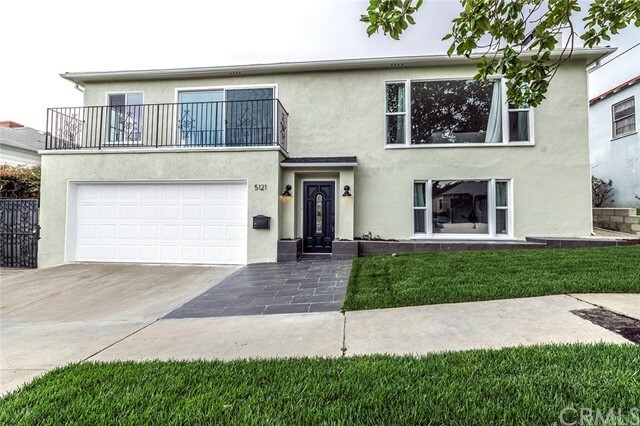 "Live like no one else in View Park stunning contemporary completely remodeled custom built home. Large bedrooms w/en suite baths for every family member or guest (including 2 main level bedroom suites); enter a striking living room w/high ceilings & white oak floors throughout; den/family room & office suite; gourmet kitchen w/Viking range & oven, walk-in pantry; waterfall white quartz dining island; formal dining area w/views of rolling hills & backyard access; yoga/studio/office bonus room als"
"Seller is Motivated - Price improved dramatically - side by side lots (6,000 sq ft./ea) in View Park. Lot 1: architecturally intact 1929 Spanish home, 3,027 Sq ft; 5+3; 2018 heating & A/C; dual pane windows; some copper re-piping/electrical upgrades; recessed lights & antique chandeliers; views, hardwood floors, Spanish tile, arched windows & doorways; courtyard & porch, high ceilings; formal foyer; step down living room w/fireplace & Spanish tile hearth; eat-in kitchen w/circular banquette, sta"
"Ideally located in highly coveted Historic View Park, this gorgeous, completely remodeled home offers three bedrooms, four baths and just under 3,000 Square feet of exquisite living space. New hardwood flooring, ambient recessed lighting, and beautiful custom features add charm and allure. Enjoy a stylish chef's kitchen complete with new stainless steel appliances, stunning quartz countertops, and fantastic 8-foot center island/breakfast bar. Wonderful spaces for entertaining and relaxing includ"
"Exquisite home tastefully remodeled in View Park. Ground floor has family room with inviting fireplace, two bedrooms, and 3/4 bath. Second level has formal living room with fireplace, open dining room, beautiful galley kitchen with spacious sunlit breakfast nook. Master suite has two mirrored closets, a luxurious bath with soaking tub and separate standing shower, and a balcony overlooking the sparkling pool. Detached bonus room with 3/4 bath in back could easily be used as office, game room or "
"I'm Gorgeous Inside! Elegant View Park Luxury Home. The Perfect Place for anyone looking for a Relaxing, well maintained, move in-condition home w pool views from all around the interior . Warm and inviting Open living and dining rm w Fireplace, Comfortable Eat-In Family Room facing a pristine swimming pool. Light and bright kitchen is updated a with newer cabinets and white granite counter tops and built-In appliances. En-Suite Master Bedroom includes a pool view, dual sinks in bath separate tu"
"Spectacular View Park Corner Home that Is Perfect for Any Happy Family! This traditional home is an absolute Gem that sits on a 7,943 FT2 lot with a 2,166 FT2 of Living Space Dwelling, holds a Great Curb Appeal. This Exquisite Home boasts 2 Bedrooms and 2 Bathrooms and very spacious floor planning, large living room with chimney that leads to backyard deck, provides a very large and comfortable Family room with chimney which may be turned into another bedroom. Kitchen features original Wood Cabi"
"Light & bright w/ classic features & tremendous curb appeal, here is the traditional you've been waiting for in highly coveted View Park. As you walk through the front door, you are welcomed by a den w/ a fireplace & an en-suite bedroom. Ascend the stately wooden stairs & you're greeted by the 2nd floor foyer & a sun-drenched living room w/fireplace & original hardwood floors. The kitchen offers ample cabinetry, granite counters & a breakfast nook w/ a stunning stained-glass backdrop. Completing"
"Spectacular View Park home that is perfect for a large family! This traditional home is an absolute gem that sits on an 5,500 sq. ft lot with great curb appeal. This exquisite home boasts of 4 bedrooms and 3 bathrooms. Very spacious throughout. Gas fireplace with a spacious living room. Separate formal dining room. Large living room with custom wood window treatments and large windows for natural light. All wood floors throughout living spaces. Kitchen has been refreshed with lots of cabinet spa"
"Let's start with a Standing Ovation on this Location! Located in the Desirable and Historical District of View Park, just minutes from the new Crenshaw/LAX Metro-Line, the Inglewood Forum, new NFL Stadium, Stocker Corridor Trail, the 405 and the 10 fwy. As you approach this home, you'll be in awe over the custom Shutters that adds an amazing touch to the tile floor entry and original wood flooring. The newly renovated kitchen and family room are light and bright with Crown Molding, Luxurious Vin"
"Charming single level Spanish 3 bedroom 2 bathroom home ideally located in the coveted View Park neighborhood. Formal entry leads you to a step down living with high ceiling and fireplace. Formal Dining leads to the kitchen with cozy breakfast area. Two car detached garage. Trust Sale, court confirmation required." "VIEW PARK ESTATES TOWN HOME with City views. 3-Level Townhome in a gated community with 2 Bedrooms, Loft, 2.5 Bathrooms, private patio off the bedrooms and two balconies off the main floor and 2-covered parking spaces. Master Bedroom w/ensuite bathroom located on lower Level and 3rd Level with Loft. Living room w/fireplace, Wet Bar, Dining room, Kitchen. Complex includes guest parking, pool, spa tub, and gym. Near Kenneth Hahn Park, walking trails, shopping, movie theaters, restaurants, new Kais"